Cities, throughout history, have been mirrors of how civilization evolved and developed. Industry, trade, knowledge, science and technology, literature and arts, philosophy, medicine, among many other fields of human endeavor have mostly, if not all, emanated from cities. Babylon was the wonder of ancient Mesopotamia. From the ancient cities of Greece, for instance, flourished philosophy, politics, architecture, literature and science. Rome was, for almost half of the world, the center of military science and governance. Many states, in fact, grew from cities. In the Philippines, Maynilad was the center of trade and commerce long before the coming of the Spaniards. It is still so, after centuries, now as Metro Manila. But not withstanding the social and technological advances in the cities, can they survive alone? Obviously, no one city can isolate itself from the rest. Metro Manila, for instance, emerged after a contiguous area of 16 cities and one municipality banded together to form the country's first super metropolis. Yet Metro Manila has to interrelate with other cities, provinces and municipalities to sustain its existence and development, as do the other cities of the country. Attempts at unifying local governments can be traced in the early 1950s as local governments aspired for greater autono­my from the national government, particularly after the pas­sage into law of the Local Autonomy Bill in 1959. Such aspiration, however, was side-swept in the 70s during the Marcos regime when the government was cen­tralized during the martial law years. The creation of the Pambansang Katipunan ng mga Punong Bayan sa Pilipinas in 1976 was, in fact, an attempt at putting local governments under the effective control of the President. The pursuit for local autonomy regained impetus in 1986, after the EDSA People Power Revolution. President Corazon Aquino issued Executive Order No. 262 in 1987 which reorga­nized the Department of Local Government, and mandated the formation of the Leagues of Provinces, Cities and Mu­nicipalities of the Philippines (LCMP). The promulgation of the 1987 Constitution encouraged local governments to push with greater vigor their aspirations for genuine autonomy. The League of Cities of the Philippines (LCP) was organized as an offshoot from the LCMP during a meeting on June 7. 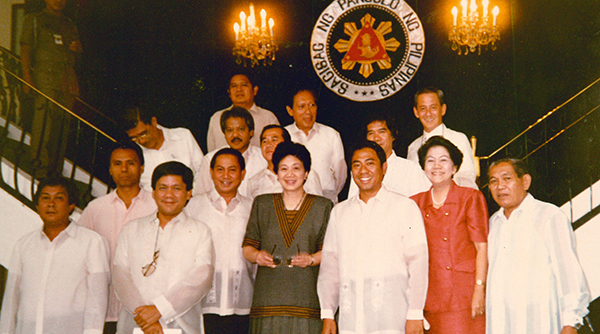 1988 in Tagaytay City among city mayors who not­ed of the peculiar needs and characteristics of and challenges confronting cities that needed more focused attention. The objective, according to the LCP Constitution and By-Laws, was to foster collaboration, unity and cooperation among the country's cities. The passage of the Local Government Code in 1991 institutionalized the creation of the League of Cities, providing deeper and more meaningful purpose to it. The LCP, as per the Code, was to articulate, ventilate and crystallize issues affecting city administration and governance. The LCP was registered with the Securities and Exchange Commission (SEC) on July 8, 1993. It is worth noting that the early years also marked the League's remarkable expansion as more and more local governments in the country have successfully lobbied for their conversion to cities. From 1994 to 1998, in a span of four years, a total of 23 cities were inaugurated, including eight cities in Metro Manila. By the end of 1998, the LCP had a total membership of 83 cities. During this period, the LCP embarked on acnvmes and projects aimed to strengthen its capabilities as an organization as well as those of its members, mainly through partnerships with local and international institutions. It also advocated, through Congress, for stricter measures for the conversion of municipalities to cities. Partnering with the World Bank and the Cities Alliance in 1999, the LCP implemented the City Development Strategies (CDS) Project to provide city mayors and planners with tools in the preparation of comprehensive long-term development strategies through participatory approach. The main output of the CDS Project were action plans developed by the participants aimed at pro­moting the economic growth of the cities and surround­ing local governments, including capital investment programs on the financial requirements to achieve the development visions of the cities. From three cities that have participated in the project in 1999, a total of 66 cities trained under the CDS Project by 2009. To promote transparency and accountability, the League rolled out in 2002 the Transparent Accountable Governance (TAG) Project in Mindanao in cooperation with the Asia Foundation. The objective of the project was to enhance the systems of business permit and li­censing (BPLS), real property tax administration (RPTA) and management of select government ventures, such as bus terminals, mar­kets, hospitals and others, to deter cor­ruption and improve efficiency. A total of 16 cities in Mindanao participated in the TAG. By the end of 2009, the LCP collabo­rated with the League of Municipalities of the Philippines (LMP) in advocating for the adjustment and increase of the Internal Revenue Allotment (IRA) for local governments and worked for the halt of the passage of unfunded laws and mandates. During this period, the LCP ex­panded its services to its members by establishing two organizational units, the Environment Unit and the Policy Unit. These units enabled the League to provide technical assistance to its member-cities in their concerns relat­ed to environment and policy issues. 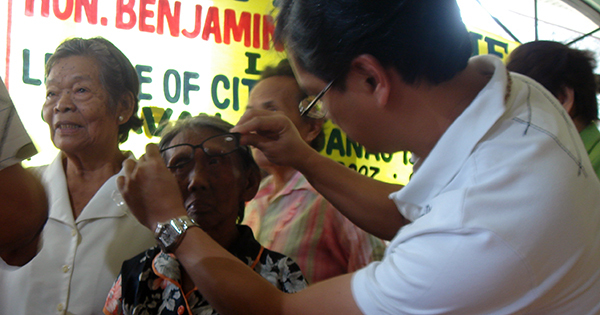 In 2007, the LCP went around the country for the LCP Caravan, where leaders of the organization visited and interacted with LCP members for them to have a direct appreciation of the sit­uations on the ground. Revisions to its Constitution and By­laws were introduced that focused on ensuring good governance, particularly inclusiveness and transparency in the implementation of city programs. In relation to this, the League launched the Best Practices Award, which gave cogni­zance to cities with outstanding practic­es in various aspects of governance. Meantime, the LCP implemented a continuing program to provide aid and assistance to its members that have experienced calamities and various man-made and natural crises. There is much to learn from the experiences of other cities of the world. And there is much to share too to the world, insofar as the Philippine cities are concerned. On November 17-19. 2011, the LCP organized and hosted the 3rd International Cities Global Convention and Exposition at the Re­sorts World Manila in Pasay City. With the theme "Bridging Cities, Transforming Lives," the convention/exposition drew the participa­tion of about 900 city mayors, administrators, managers and other officials from all over the world, as well as representatives from the private sector, civil society and national government offices. The convention/exposition connected cities with each other and with important stakeholders in various ways. First, it showcased the best of Philippine cities, from products, tourism sites and culture to good governance practices and potential investment opportunities. Second, the plenary and break-out sessions provided opportunities for cities, the national government and local and international ex­perts to share innovative solutions in addressing pressing urban problems in housing, urban congestion, climate change adaptation and sustainable economic development. 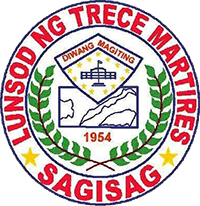 To consolidate the position of the League in the region, the LCP co-organized with the City of Taguig and the United Cities and Local Governments - Asia-Pacific, the 3rd ASEAN Mayors Forum (AMF) on July 26-28, 2017. By inviting local chief executives of ASEAN cities, the 3rd AMF sought more ways and methods to develop sustainable and inclusive urban communities within the region in accordance with the ASEAN blueprint. The discussions were centered on multiple themes and issues on the UN Sustainable Development Goals, the NUA, local economic development, resil­ience, and women leadership, with emphasis on the role of empowered communities for a stronger ASEAN. The LCP also made its mark in the global are­na for its consistency in its commitments at finding solutions to pressing urban issues. It regularly co-organized since 2012 the Inter­national River Summit (IRS) with the Depart­ment of Environment and Natural Resources (DENR). The IRS is a biennial, multi-partner international initiative aimed at improving the conditions of rivers in the Philippines through intensified river advocacy and gov­ernance, and raising awareness on the impor­tance of rivers to everyday life. Since 2012, three international river summits have been organized by the LCP and DENR in selected cities across the country. After 30 years, the LCP has the strength gained from the unity, cooperation, partic­ipation and engagement of its 145 members, the national government, and its local and international partners. The LCP now looks to the future with confidence and enthusiasm in tackling the challenges brought about by development, continued urban growth and its atten­dant social costs, climate change, among other issues, as well as in taking advan­tage of the opportunities the future offers. At 30, we are stronger together. The years to come can only be better.